Ghana's illustrious son Kofi Annan has called for credible polls which could deepen democracy across the continent. According to him, elections must not be held solely with the aim of retaining a government in power. “When conducted in a true democratic spirit and not just as an exercise justifying an otherwise undemocratic hold on power, elections can deepen democracy, resolve conflict and bestow on a government the legitimacy necessary to govern effectively,” Mr Annan said at a recent high-level meeting on elections in Geneva with a panel of statesmen and women. The eminent group, which includes former heads of state and government from four continents, has agreed to join forces with Annan, his team and the core group of his Electoral Integrity Initiative (EII) to support credible and peaceful elections in selected countries around the world. With their long histories of public service and knowledge of electoral processes from across the world, the Senior Panel brought new insights to the work of the EII, as well as interesting regional perspectives. Gordon Brown analysed the Scottish and Brexit referenda, President Obasanjo, of Nigeria, discussed trends in African politics while President Lagos, of Chile, and Hassan Wiarajuda, of Indonesia, stressed the hiatus between the breakneck socio-economic changes in Latin America and South-East Asia over the past decades and the much slower development of their regions’ politics, leading to friction. The Panel drew particular attention to the danger of elections without integrity, which undermine public trust in democracy itself, pushing people towards undemocratic and radical alternatives to effect change. These discussions found a wider audience that evening at a lively public event held at Geneva’s Graduate Institute of International and Development Studies. The work of the EII going forward will be greatly strengthened thanks to the invaluable support of this Senior Panel. 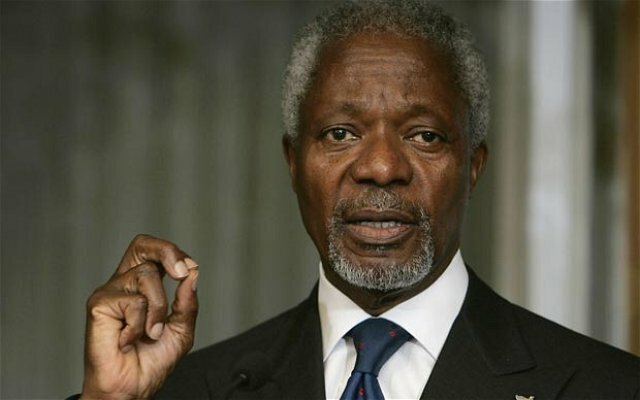 Like Kofi Annan, they have access to the highest levels of government and have the political heft necessary to shape debates and influence practices. With their support, the Foundation and its EII will have new opportunities for engagement and is actively exploring the role these influential figures can play in supporting elections with integrity in select countries.